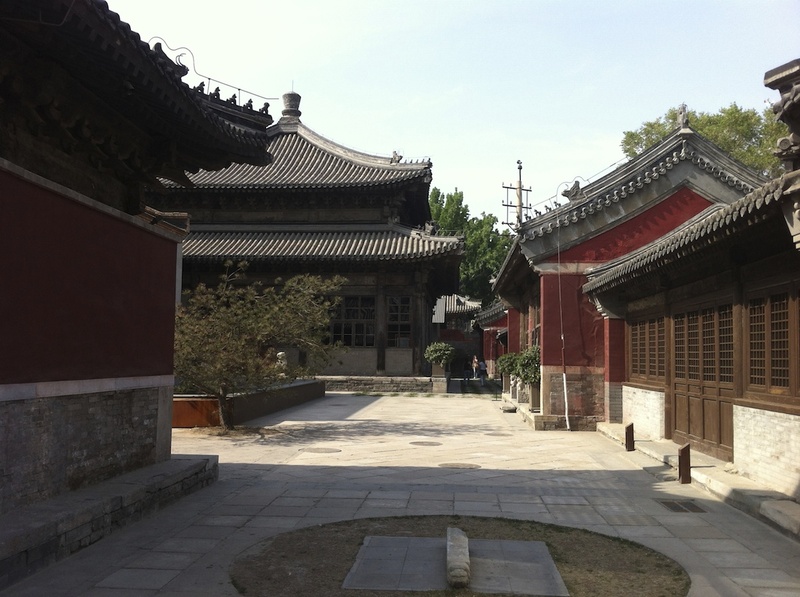 Courtyard Area of the Temple Restaurant Beijing, the final product of restoration efforts between 2008-12, now under contention with local preservation authorities. 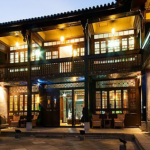 Once part of a Buddhist three-temple complex, the derelict Songzhu and Zhizhu Temples in the North-East of Beijing have been renovated and refurbished into a high-class eatery and private club: Temple Restaurant Beijing. Recently, investigations regarding the legality of this restaurant have surfaced, with questions concerning the nature of its refurbishment, business activity and legitimacy of its compliance to cultural heritage regulations. Largely due to its complex and confusing situation, the Temple Restaurant has caused much stir in the media. 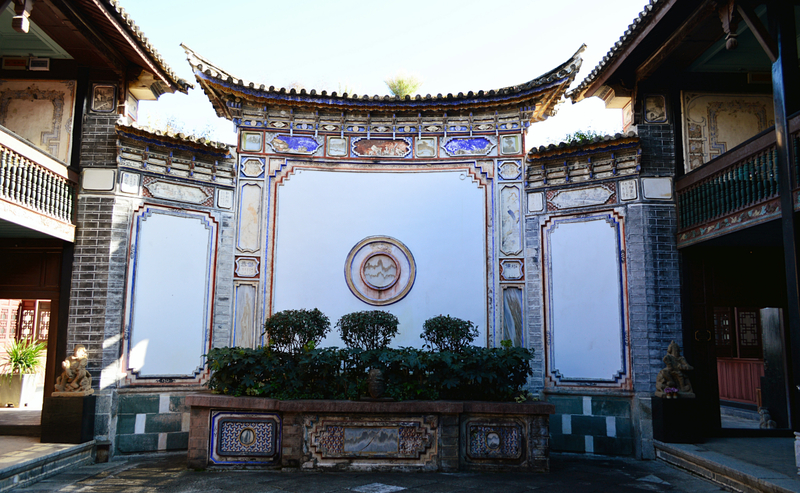 After its use as a Buddhist temple, the Songzhu and Zhuzhu temples were occupied by various companies and factories in the 1950-60’s until the 1980’s where religious reforms in the country allowed the building property rights to be ‘returned’ to the Buddhist Association of China. However, due to various reasons some companies remained in the complex, under an agreement to pay rent to the Buddhist Association of China. This continued to be the case until 2008 when foreign private investment funded a restoration and renovation of the temple, which resulted in the construction of Temple Restaurant Beijing, completed in 2012. 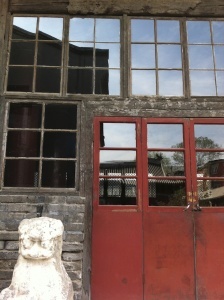 Restoration of Temple Restaurant Beijing Legal? Because the Songzhu and Zhuzhi temples are still regarded as culturally significant buildings, much of this regulation is still applicable. 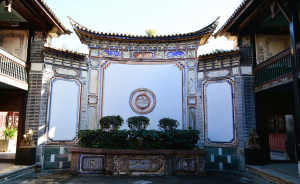 This resulted in scrutiny regarding the renovation of the Temple Restaurant Beijing and how strictly the renovation followed cultural heritage regulations. However, as the investigation has not been released to the public by the Beijing Municipal Administration of Cultural Heritage (BMACH), none of these accusations can be confirmed. If the BMACH did not allow the private investment and the renovation to occur, what would have likely happened to the buildings? “It would take time to solve the problem… but it would be better to bring other investment to maintain and renovate the old cultural heritage buildings before it gets destroyed”. 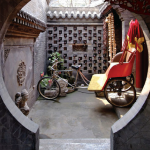 “Every province and city in China has a limited budget for cultural heritage renovation…this budget is not sufficient”. In comparison to its negligent past, cultural preservation policies and regulations in contemporary China have been ‘a good first step’ towards a more historically conscious nation. Government funding of “1 billion yuan every year for renovation and maintenance of cultural heritage” (Zhao Jianming) and the compilation of the Principles for the Conservation of Cultural Heritage Sites in China are good steps toward this goal. 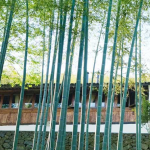 There is no doubt that the Temple Restaurant Beijing did well, renovating and reprogramming the temple space, but with speculation regarding the nature and the process of the renovation, tighter and more frequent inspections by the BMAC would have been prudent. 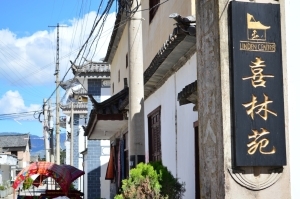 In comparison, The Linden Centre in Xizhou (renowned for its excellent restoration standards) exhibited good government-company relations, with government authority inspections on the site every two months to ensure the adherence to the relevant regulation standards. Despite it being a private business, the Linden Centre sets the precedent for private, for-profit-businesses using cultural heritage buildings properly. Without dismissing the many instances where the BMACH has prevented illegal and damaging activity, how often do they (or any government regulation) hinder the preservation of culturally significant buildings? Is there a better way to protect a building without blanket banning any alterations, even positive alterations to its structure? I personally think that TRB did a good transformation from an old temple to a stylish, decent restaurant and hotel with French gastronomy, art decor and excellent service. This brings a topic on who is responsible for the renovation concept and who is investing capital for the realization. Obviously the case of TRB is not a public fund support case, as well it is for beneficial purpose of the developer. However, from the fact that TRB gains a positive reputation among the clients on an excellent combination of modern cuisine and historical interior together with professional service, it becomes a pop destination for those who is seeking for an exclusive fine dining experience. I believe that it will raise more thinking on what would be the criteria and expectation on old building restoration and renovation in the future.